Iftar buffets are common in the UAE, but you've never seen one done as beautifully as the one at Gourmet Lafayette located on the top level of Galaries Lafayette at the Dubai Mall. As I approached the well lit dining area I was overwhelmed with the colorful array of food. The eager staff quickly greeted me, and walked me over to my table. 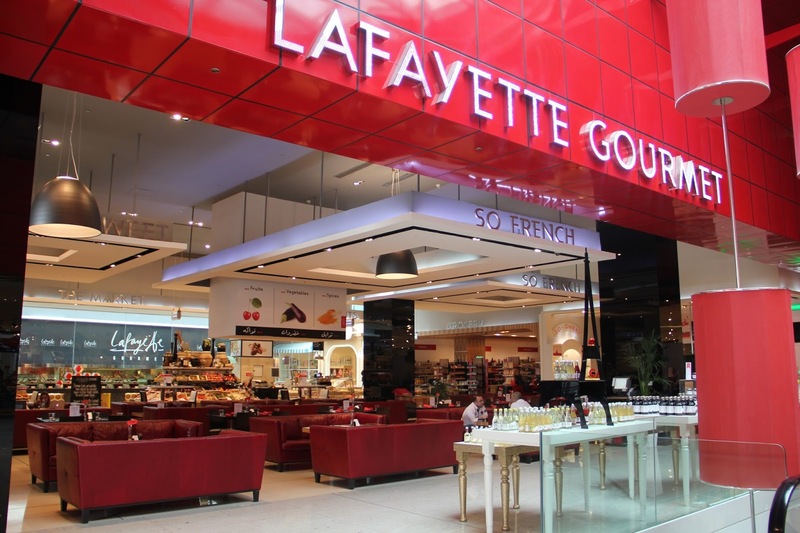 The entire operation is run efficiently and systematically, to ensure everyone's iftar experience at Lafayette Gourmet is stellar. Chef Russell Impiazi is the executive chef and puts his stamp of approval on everything that comes out of their skilled kitchens. Each salad was prepared with the freshest vegetables, cheeses, and protein. Everything from the savory seared ahi tuna with tangy capers and perfectly roasted peppers to the sweet beetroot and creamy goat cheese salad, its all just divine. Even the sushi boats were plentiful with meticulously placed rolls, sliced nigiri, and sashimi. There was plenty to choose from including some vegetarian rolls for the non-seafood eaters. The cold station was more than enough for a light iftar, as it had substantial items that could qualify as a complete meal. However, the chefs made sure to recommend some of the hot items as well, specifically the harira soup, a Morrocan Ramadan delicacy. Zesty and full of flavor this healthy soup was jam packed with nourishing ingredients such as lamb, chickpeas, tomatoes, and a medley of spices! I really found it difficult to tear myself away form the cold section especially with items as pretty as this chilled prawn salad with sprouts and a crisp mango relish. However, my friend was equally obsessed with the manakish prepared fresh on the Saj strategically positioned along with the other starters. This was one of the most popular items as they were being picked up as quickly as they were being made. Available in Zaatar, plain cheese, or a combination of both, this qualifies as real Middle Eastern comfort food. We eventually made our way over to the hot food station just as the quintessential lamb ouzi was being sliced. The meat was cooked to perfection, well seasoned, and accompanied with the buttery rice topped with crispy onions and toasted nuts . Based on presentation alone this dish was difficult to resist! After such a lavish meal, I had mentally prepared myself for the real calorie fest, as there was an enormous selection of desserts waiting for us. The spread included a rich cheesecake, baklava, Lafayette Gourmet's famous chocolate chip cookies, some sugar free puddings, plus much much more! I ended up tasting a little bit of everything, but have to say the cheesecake was my all time favorite. As we approached Sowwah Square on Al Maryah Island in downtown Abu Dhabi, it was understood by my guests and I that we were in for a unique experience. Rosewood hotel isstrategically positioned just across from the iconic Abu Dhabi trade center and mall. This brand new locale is going to be BIG with a skyline that will emulate the top financial hubs of the world complete with tall modern buildings and top notch shopping and eating facilities. We made our way over to Sambusek where the Iftar was being served after being greeted by the exuberantly friendly staff and valet of the hotel. As we entered we found ourselves enchanted by the the aroma and magical culinary display at the entrance of the restaurant. We were seated at a lovely little table facing the water with stunning views of the sea and a slight glimpse of the classic Abu Dhabi skyline just across the water. As the sun set, we anxiously awaited for the moment to enjoy the decadent feast we were greeted with. The first stop on the Iftar buffet was at the cold canape and salad section. The colorful array of food was aethetically pleasing to the eye, and beautifully presented on the elegant glass buffet tables. The selecton consisted of everything from a roasted pumpkin and sun-dried tomato salad (my favorite) to a mushroom and artichoke quiche, a vegetable terrine, and even bresoala wrapped mixed greens. It was refreshing to see so much variety in the types of cuisine offered as opposed to the standard mezze found at several other Ifatr set-ups. There was also a seperate buffet line dedicated to the hot mezze items, sambusek, fatayer, and kibbeh. Rightly so as the restaurant is named Sambusek for a reason, and the restaurant takes pride in there presentation of this regional delicacy. Further into the dining room there was even a sushi counter along with this overwhelming smorgasbord of cold seafood items. This collection boasted the freshest seared ahi tuna, prawn ceviche, and smoked salmon anyone could ever ask for. The delicate presentation of the prawn cocktail topped with a quail egg couldn't be more perfect (picture right). The ingredeints were high grade, and you could really taste the difference! After thoroughly enjoying the cold selection and a good 10 minute break, I decided to tackle the hot items. Some of the offerings included traditional dishes from the sub-continent. From an authentic prawn biryani, to a more innovative chestnut and mushroom dish, it was evident that these were the items that created that welcoming aroma as we entered the restaurant. Along the other side of the hot buffet was also the traditional lamb ouzi, a baked red snapper on the carving station, a selection of mixed grills, and of course a chicken shawarma stand plus much much more. With so much to choose from, my plate and eyes kept getting bigger and bigger. I was compelled to taste everything, but knew I had to save some room for the desserts which awaited on the other side of the restaurant. Alas, we did make it to the sweets. There was a variety of arabic desserts and european sweets infused with a touch of the Middle East. On the traditional side the kunafa and umm ali dominated the popular vote and on the contemporary side I was intrigued with the sticky date and toffee pudding plus a chocolate cardamom cake. If you wanted an alternative to the sugary confections there was also an ample array of fresh fruits available, but to be honest, I didn't even bother to look at them as I was too involed on the cake side. Sambusek caters to a divers clientele, with everything from the Levant to Japanese and even European cuisine all done very tastefully. 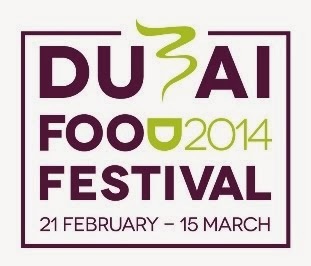 For AED 195 per person for Iftar and AED 125 for suhoor, this is a deal that can't be beat. Check out www.rosewoodhotels.com for more info.